As part of their menu and marketing, I got to shoot for one of the hidden gems in Observatory's Lower Main Road, Cocoa Cha Chi. This place oozes friendliness and every corner has something to look at. While enjoying the time at home in between shoots, I collected some porcelain pieces to create an eclectic mix on the dining table. Yesterday I got to merge my 2 loves: "Food & fashion". Kim Graham & Nicole Cheeseman collaborated to create this fun outfit as a form of art. For the skirt and corset they used fresh cucumber slices and matched it with a green chilli necklace. My food photography (pictured in the lower left corner) has been featured in a magazine supplement for Business Day newspaper! Its always exciting to see my work in other people's designs and layouts. 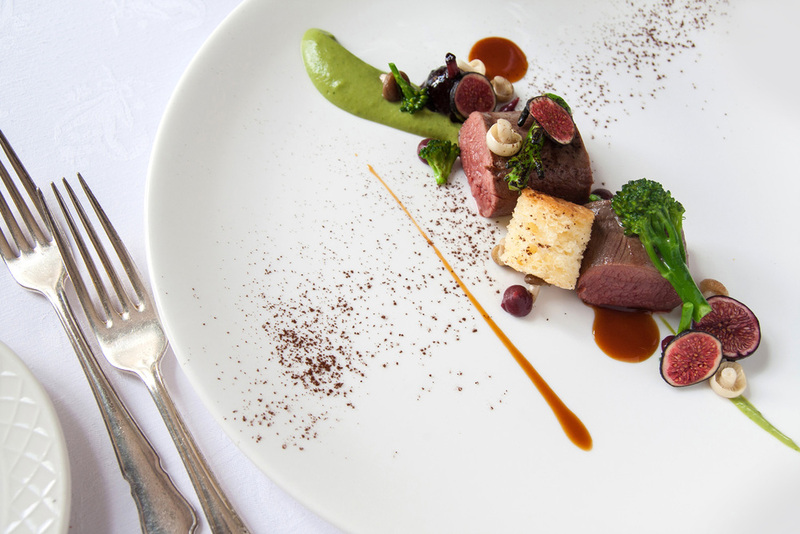 I recently visited Grande Roche Hotel in Paarl to do some food photography at Bosman's Restaurant, recently voted one of the top 10 restaurants in South Africa. The masterpieces from Michelin-trained Executive Chef, Roland Gorgosilich, proved to be culinary works of art with the precision of fine dining. The restaurant is also passionate about its wine which is proven when the restaurant's sommelier expertly pairs each plate with the perfect wine. They recently also hosted the International Wine & Spirit Competition. 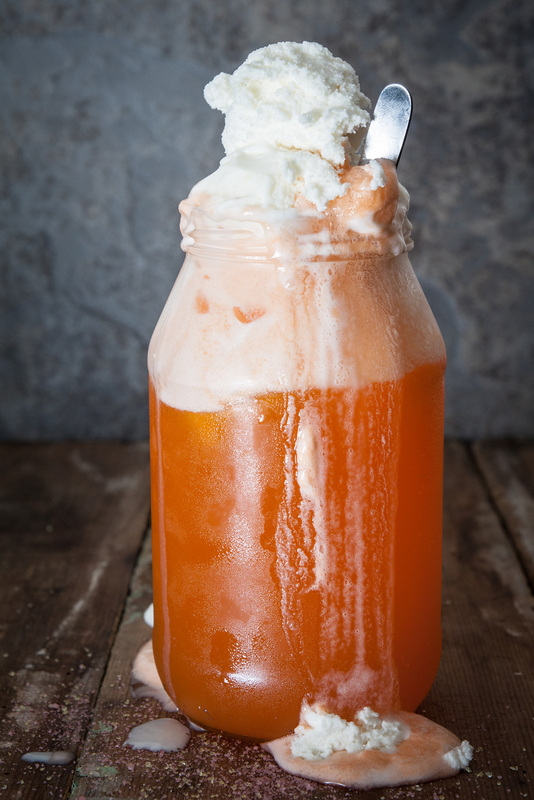 When last did you have a soda float? My sweet tooth craved 2 things today... Fanta Orange and ice cream. That's when I decided to satisfy both and make this old classic. With sticky fingers and a sugar buzz I snapped this image hastily before the entire mountain of ice cream melted. In the end all that remained was a puddle of cream on my desk and a shiny new photo for my new section: "In My Kitchen". This is where I will frequently post what creative, nostalgic and delicious things are happening in my kitchen at home.